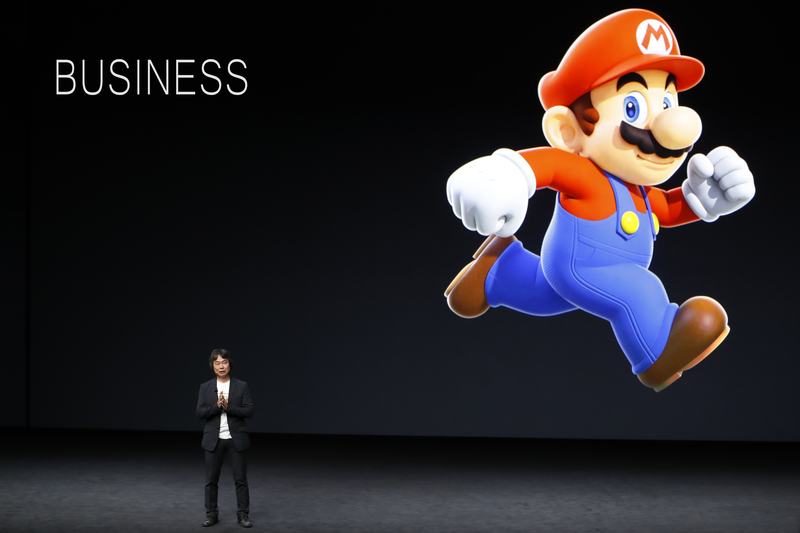 $US295 ($376) million - That's the estimated revenue generated by Nintendo's mobile free-to-play game Fire Emblem Heroes in its first year, almost five times the amount made by Super Mario Run. QUOTE | "Honestly, we expected just to fund our Kickstarter, sell 250 to 300 carts." - Piko Interactive founder Eli Galindo talks about the campaign to produce cartridges of the never-released Nintendo 64 port of the poorly received PlayStation 3D platformer 40 Winks. As of this writing, it is closing in on 1,200 backers and has more than quadrupled its funding target. QUOTE | "People already think we're up to artificial general intelligence and robots taking over humanity. I don't think that's the right question. The right questions today are, 'What are companies doing with my data? What's the real usage of what I'm leaving online? How are those companies using that to create AI targeted ads, or to provide that to other companies?'" - Yves Jacquier, head of Ubisoft's R&D program La Forge, talks about the real dangers of AI as he unveils the company's Commit Assistant AI-driven code-checker. QUOTE | "On Call of Duty: Advanced Warfare, we had Activision's CEO, Eric Hirshberg, writing character dialogue. That's like walking onto a film set and seeing your gaffer rehearsing lines or your actor working on the film budget." - APA talent agent and former Activision director of talent Gina Ramirez talks about the difficulties of Hollywood and games working together. QUOTE | "These commercially and critically successful films won hearts, minds and, yes, box office. Representation isn't just good common sense, it's good business sense." - Microsoft executive vice president of gaming says this industry could learn a lot from the success of Wonder Woman, Get Out, Coco, and Black Panther. QUOTE | "I'm hearing more and more people saying the level of violence in video games is really shaping young people's thoughts." - US President Donald Trump brings up the internet, movies, and violent games as key concerns in a meeting about school safety a week after 17 people were gunned down in a high school shooting in Florida. QUOTE | "Our goal is to make every school in Rhode Island a safe and calm place for students to learn. By offering children resources to manage their aggression today, we can ensure a more peaceful tomorrow." - Rhode Island state representative Robert Nardolillo III has proposed a 10% tax levied on the sale of M-rated games in the state, with the money raised paying for mental health and counselling resources in schools. QUOTE | "A trade mark which covers rendered video of an essential gameplay mechanic could be a powerful tool in the Intellectual Property armory of any developer or publisher." - Kostyantyn Lobov, a senior associate specializing in IP and advertising issues at London-based law firm Harbottle & Lewis, suggests that developers can trademark key gameplay elements, giving them stronger protection against imitators than patents or copyrights allow. QUOTE | "ESA and its member companies are committed to, and actively support, serious professional efforts to preserve video games and recognise the industry's creative contributions under circumstances that do not jeopardise game companies' rights under copyright law." - The Entertainment Software Association, in a comment to the US Copyright Office, opposing a proposed expansion of a exemption to the Digital Millennium Copyright Act that would allow libraries and museums to circumvent anti-piracy measures on multiplayer or online games once their official server support has been discontinued. STAT | €4.94 - Rovio's stock price at the end of trading Thursday. A day earlier, it was trading for more than double that, but Rovio shares fell off a cliff after the company told investors it would be missing its full-year profit projections. QUOTE | "With all of our games now we think about viewability, and we think about what is going to be necessary from a development perspective to make sure we're ready if a game does take off as an esport." - Blizzard president Mike Morhaime says the company has been taking the spectator experience into account since at least Warcraft III.